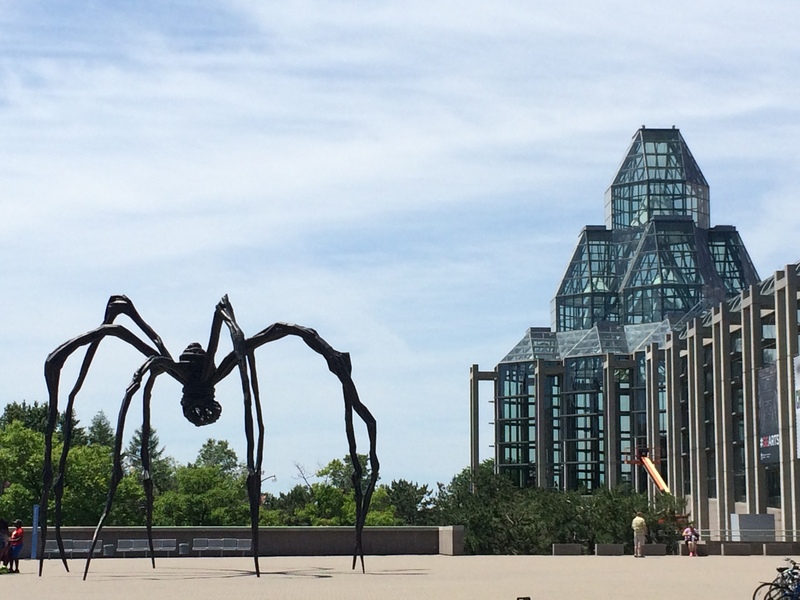 Home Canada	Ottawa: No Bike Lock, No Problem! Ottawa: No Bike Lock, No Problem! In our home city of Toronto, we never lock our Bromptons outside. They’re more expensive than regular bikes and we don’t want to tempt bike thieves. However, when we go traveling, sometimes it’s necessary to leave the Bromptons for brief periods of time while we check out a tourist attraction. For these moments, we bring a Kryptonite U-lock and a thick cable. Sometimes we add a heavy-duty chain lock for extra safety. And even with all that, we still worry about them a bit. 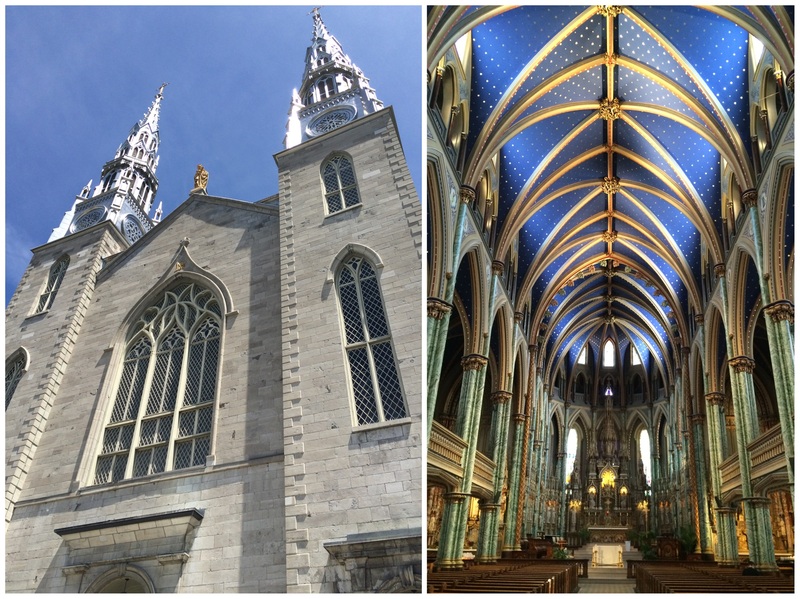 Explore downtown Ottawa and Parliament Hill by foot? Buy another expensive Kryptonite bike lock? 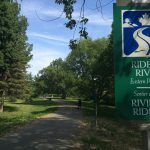 Use Ottawa’s VeloGo bike share system instead? Buy a dinky little padlock to use with our cable (like the hotel front desk lady suggested)? Option D seemed full-on crazy to us. You can’t lock up bikes with padlocks from Staples (yes, front desk lady actually directed us towards Staples to buy locks for our bikes). Option C (VeloGo) is a great way for tourists to see the city, and it’s not that expensive, but we would rather ride our own bikes because, you know, that’s why we brought them. Option B was the safest choice, but we’re on a budget holiday and dropping $100 for a new lock that we’d only need for a day or two seemed financially unsound. Option A is what we ended up doing. 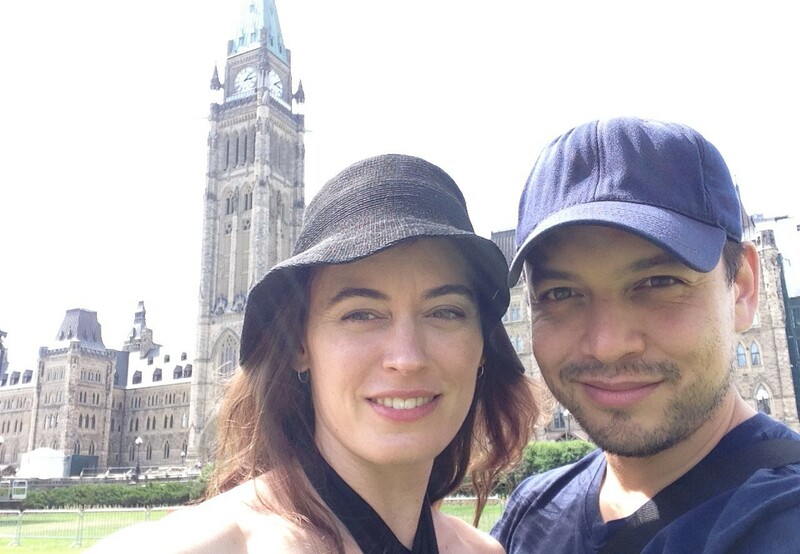 We left our Bromptons in the hotel room and walked to Parliament Hill. It only took 20 minutes, but since we’re used to getting around super fast on two wheels, that walk felt like forever! If we’d been on bikes we would have arrived in 5 minutes. But the walk gave us a chance to notice something weird: 75% of the bikes locked up on the streets of Ottawa used… cheap cable locks! Hell, we even saw a few using Staples Depot padlocks! Were we in some magical no-bike-thieves world?! Perhaps Option D wasn’t so crazy after all. Yes, we went to Parliament Hill and the only picture we took is this terrible selfie. We found out that the tours are FREE, but the wait time was two hours. What to do while we waited? Walk around? Or return to our hotel, get our bikes and cycle sightsee? But then what would we do with our bikes once the tour began? Fabulously, coat check isn’t just for coats, it’s for bags and strollers too, which means it can also accommodate fold-up bikes! So take note cyclists: at Parliament Hill and the museums, you can check a fold-up bike. No lock necessary. 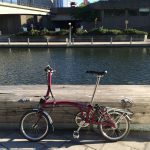 What was necessary, however, was a demonstration of the Brompton fold, which we were happy to do. 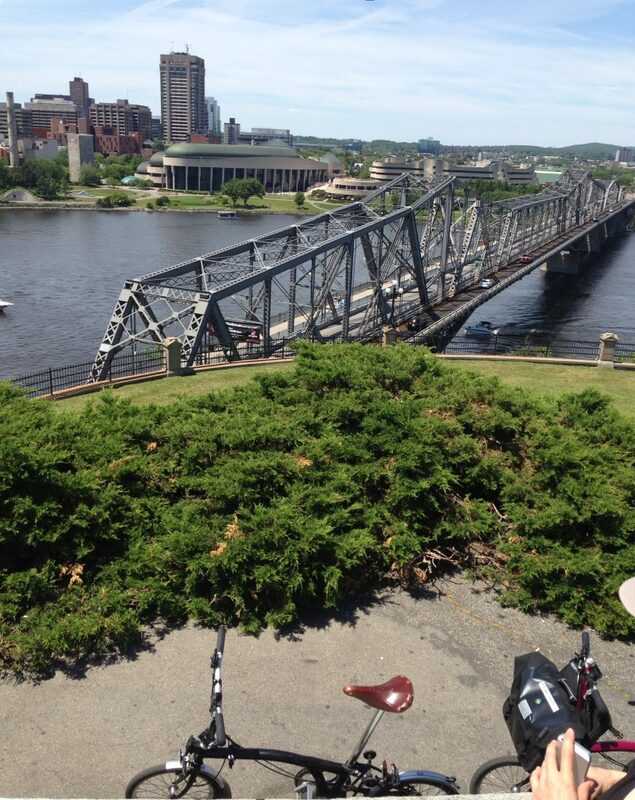 View of Alexandra Bridge from Nepean Point. 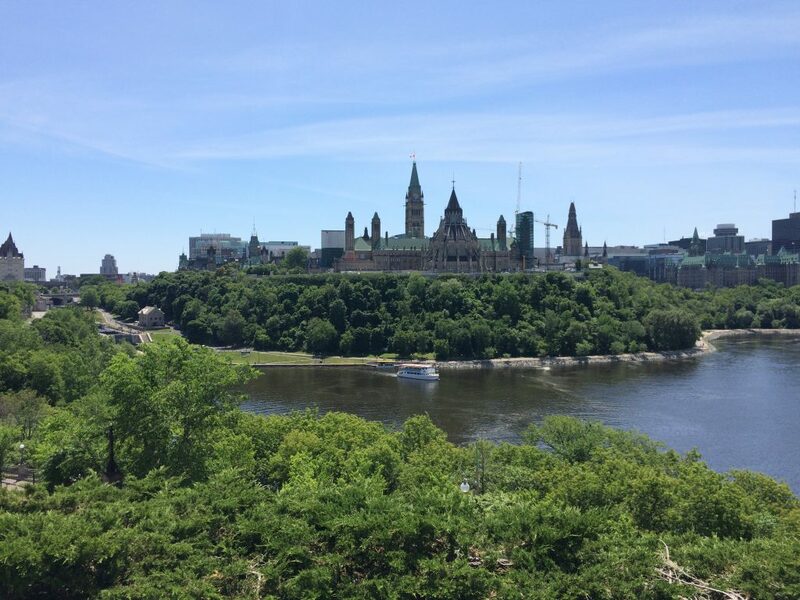 View of Parliament Hill from Nepean Point. 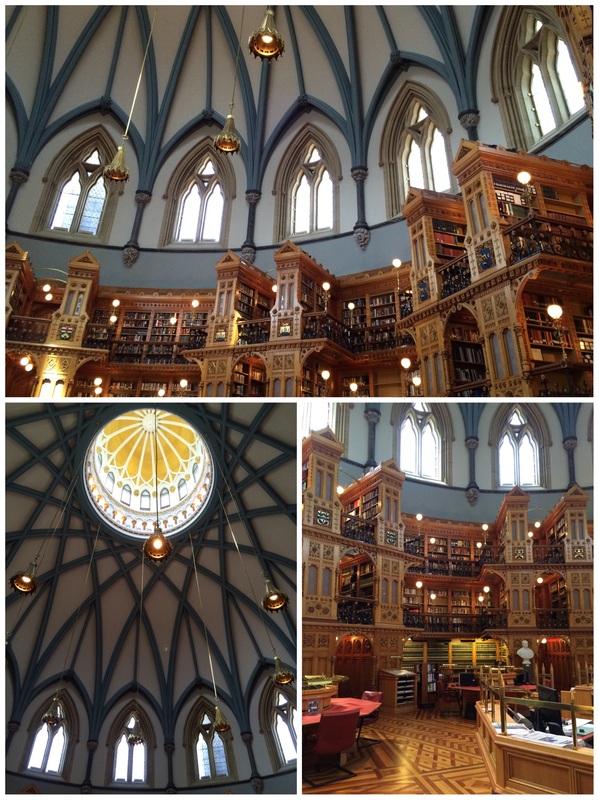 The Library of Parliament is GORGEOUS! I took like 20 pictures here. THIS: Best Prime Minister portrait ever! 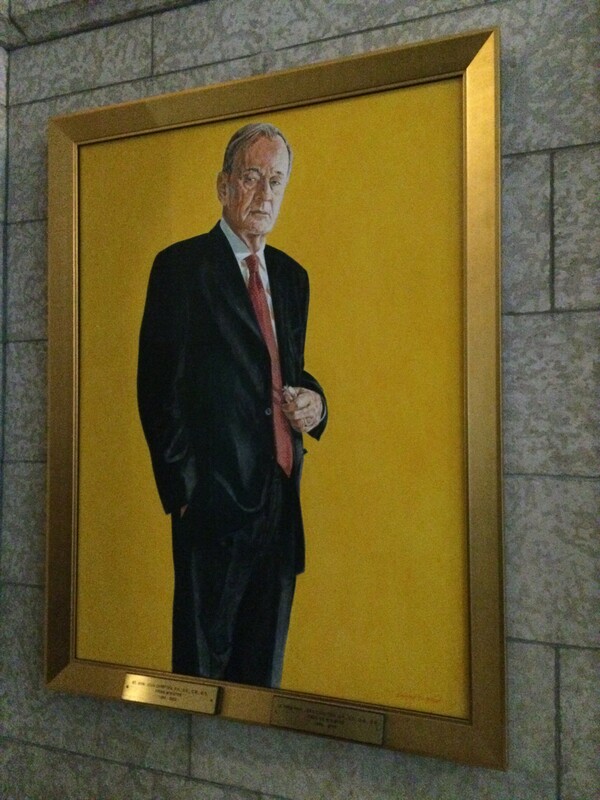 All the other portraits were done in boring muted earth tones, but Chretien chose a YELLOW background. And the expression he’s giving is totally badass. Maybe that’s why cyclists feel safe locking their bikes up with piddly cable locks; this guy’s steely stare scared all the bike thieves out of town. Next, we cycle sightsee down the Rideau River and up the Ottawa canal, and end the day with a meal so beautiful I had to break my no-photos-of-food-only-bikes rule.